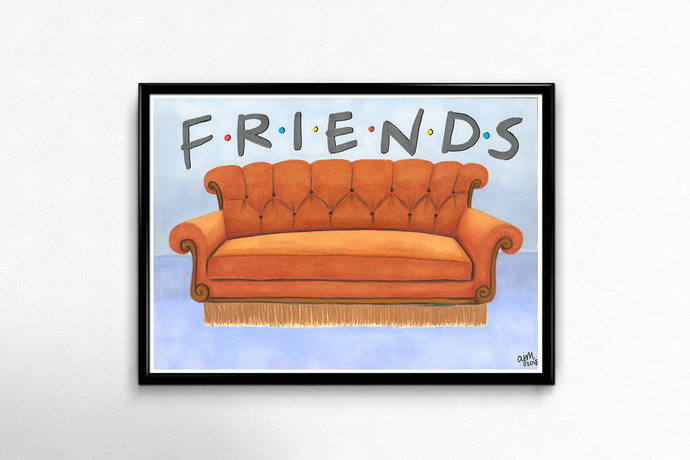 Artwork print of the iconic couch from the TV show, Friends. This artwork was made using Letraset/Windsor and Newton Promarkers and Prismacolor Premier pencils. Printed onto 200gsm satin paper. 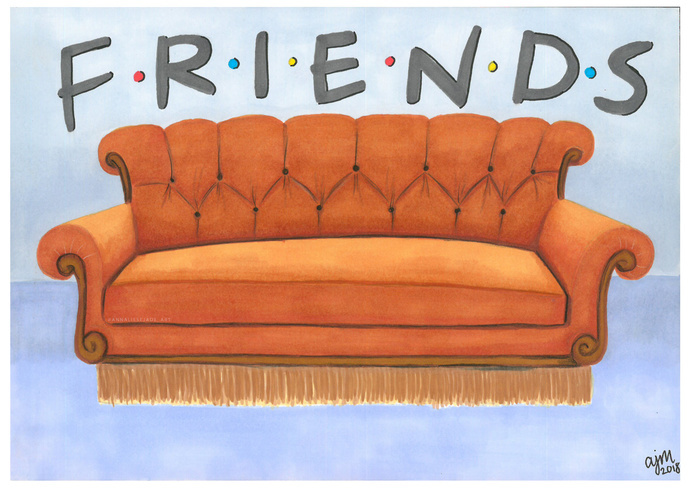 Available in A5 and A4.